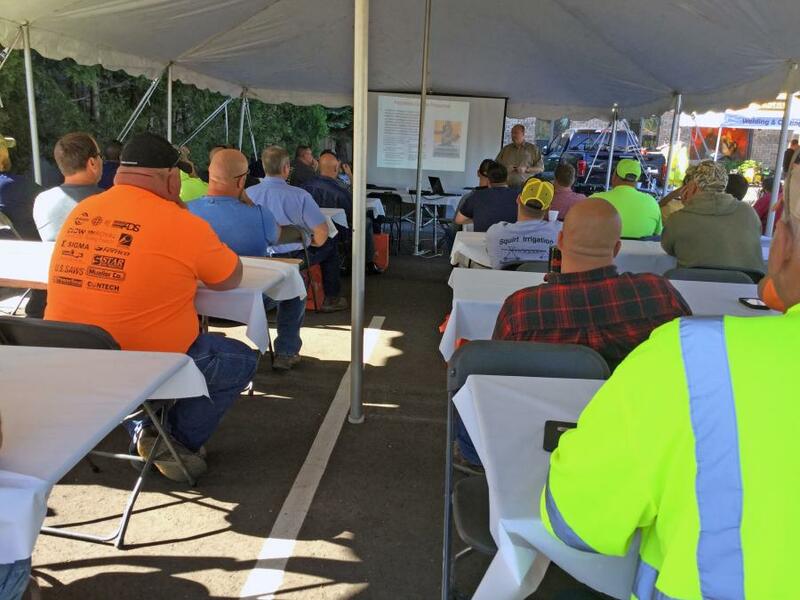 Mike Ross, Efficiency Production’s national training coordinator, explains the dynamics of soil pressure during classroom training at the 2016 Municipal Safety Day program. 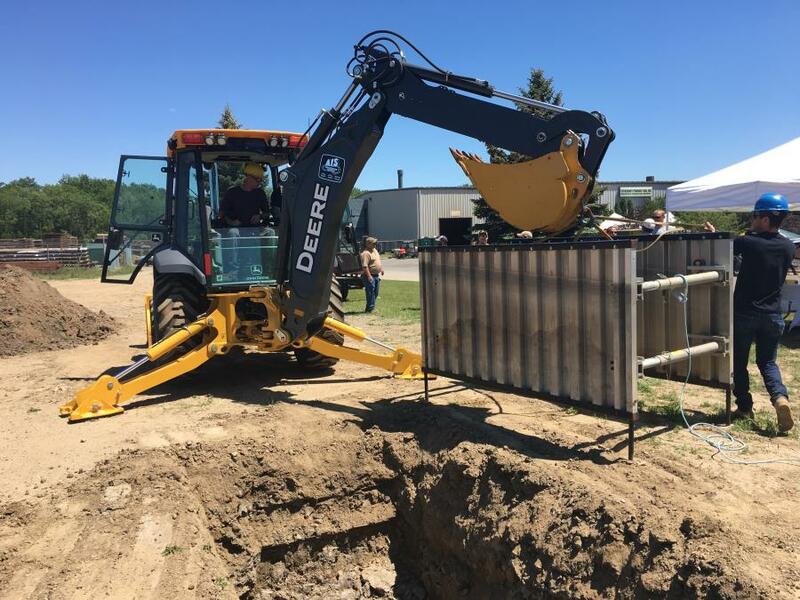 This past June 1, Efficiency Production Inc. hosted Municipal Safety Day for Michigan communities' Departments of Public Works (DPW) and Water Department personnel. 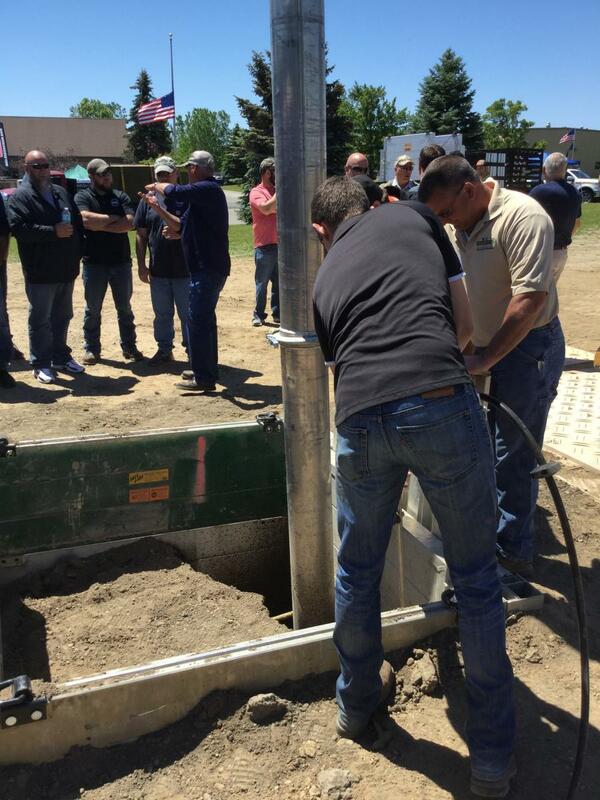 Offering training sessions at the event were the Michigan Rural Water Association (MRWA), FallTech, AIS Equipment Company, F.D. Lake, and Jack Doheny Company; as well as Efficiency Production. 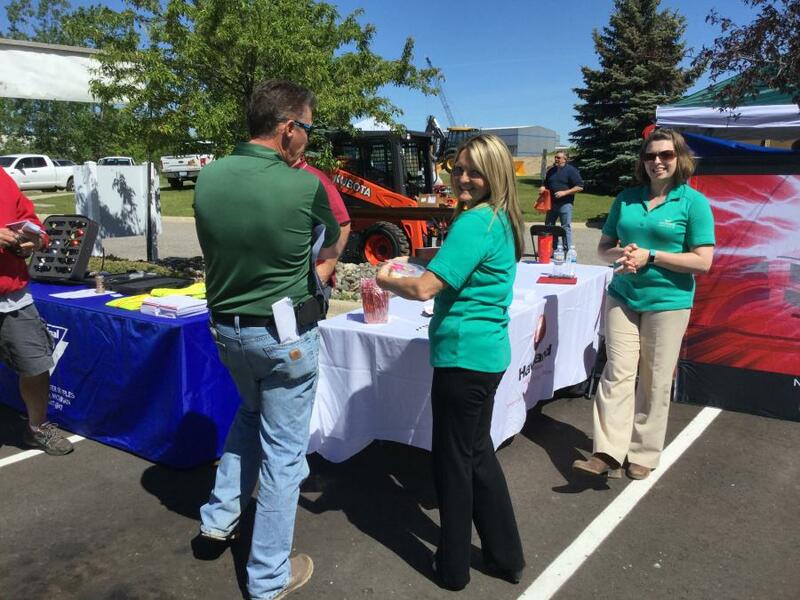 The eleventh annual event attracted 85 participants from 34 Michigan municipal communities and organizations. 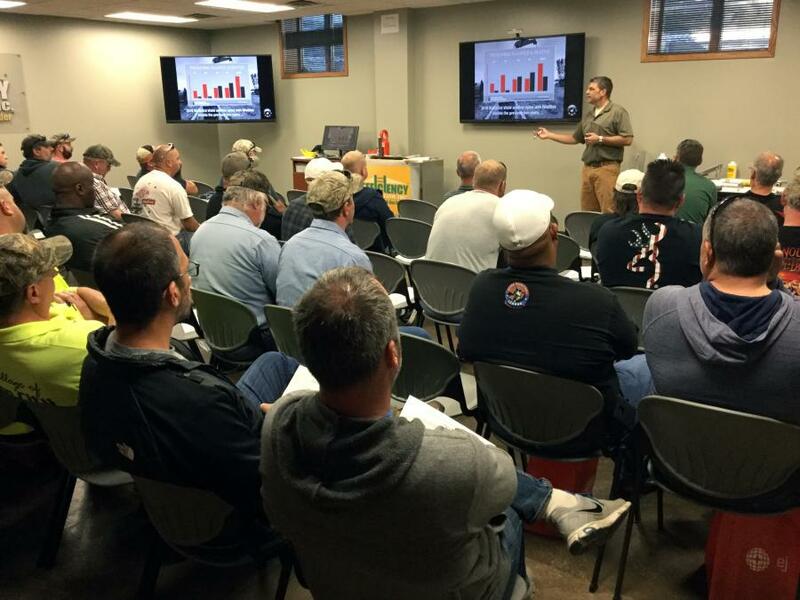 Participants were awarded 0.4 Michigan Department of Environmental Quality (MDEQ) Continuing Education Credits (CEC), which were administrated by the MRWA. 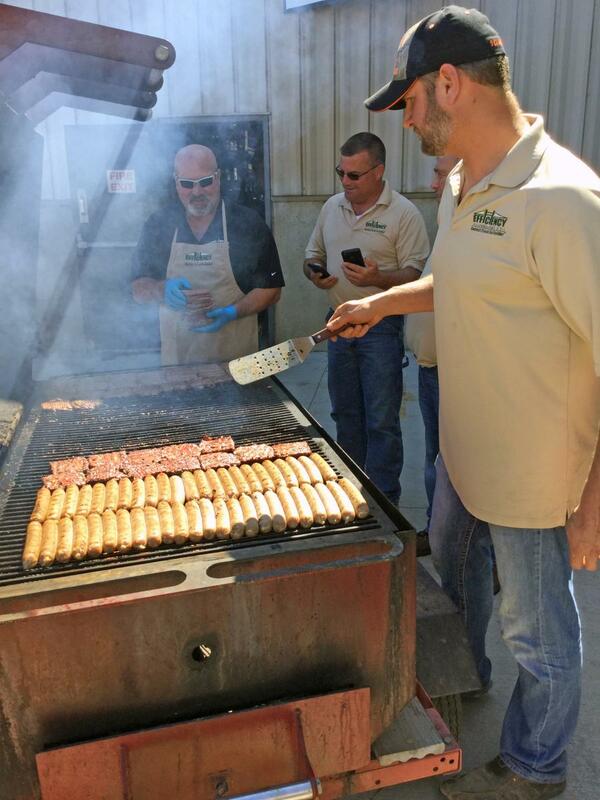 Also highlighting Municipal Safety Day was a cookout barbeque lunch, compliments of the chefs in Efficiency Production's sales department. The Michigan Rural Water Association's mission is to provide resources, education, and networking to all members, future members, and their customers in order to enhance quality of services.